I recently purchased an Xbox and I must say, considering that have yet to acquired a sports game, that I am very impressed. I got the Xbox 360 pro (with the 60gb hard drive) and this allowed me to take full advantage of the recent updates for the New Xbox Experience (NXE). There is a metric ton of videos, demos, pictures, community games, themes and online goodness that really extend the entertainment experience of the Xbox. The interface is really intuitive and looks great in 1080p. Netflix Instant Watch is a really significant addition and adds a really solid value, if you are in fact a Netflix subscriber. The only problem with Netflix Instant Watch is that there is a really limited movie list and it can take quite a while to find a decent movie for your Instant Queue. The HD movies streamed consistently without interruption and the picture quality was pristine. The other problem is that you cannot add movies to Instant Queue directly from the Xbox, you have to go online via a PC, but the instant queue will update almost immediately. 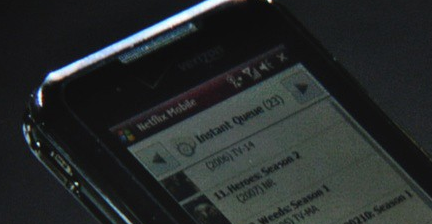 There was an announcement of a Netflix app for Windows Mobile so this should relieve that bottleneck (or maybe I could create a Media Center app). The only real unresolved disappointment was the poor performance of Windows Media Center. While it only took a few minutes to connect to my home PC, once I got it up and running the controls were really slow (I mean in the order of 10-20 seconds per click). My network is running fine, it handles high def streaming with ease. So right now am I assuming there is some contention between the various apps that can share data from my Vista PC (Zune, Windows Media Player and Windows Media Center). If the Netflix instant watch expands in a significant way this could change how I approach purchasing premium channels from my cable provider.